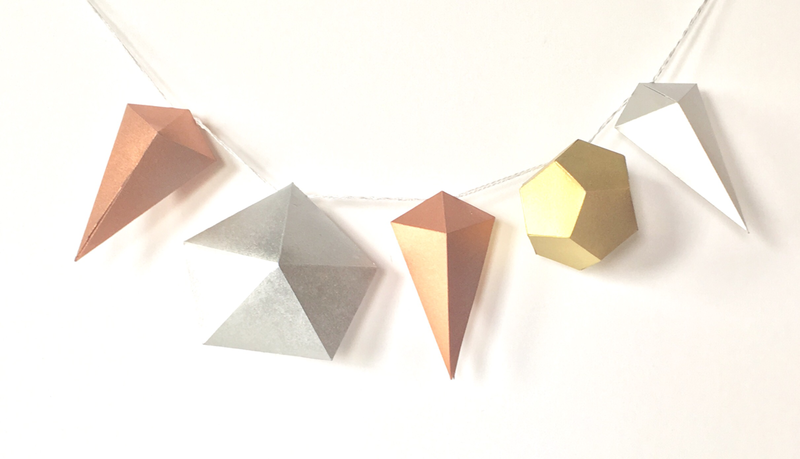 I've posted a tutorial for this modern banner at Cut Out & Keep. 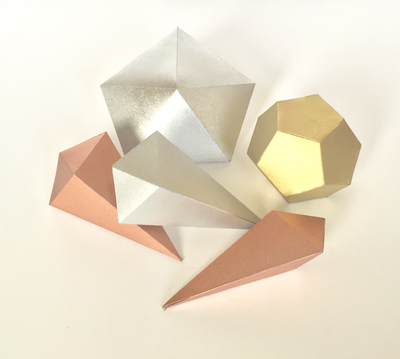 You'll need to first make some super cool paper gems and I have some patterns in my shop. I think this is a really unique idea and it's a great way to display these fun paper gems. 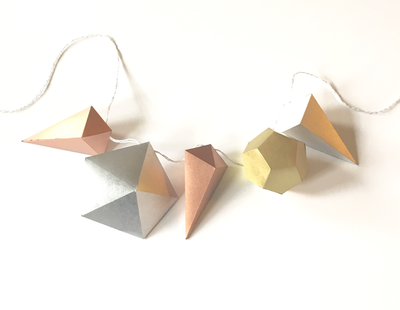 I've also posted a tutorial on how to score your paper crafts at Cut Out & Keep so go and check it out! Use metallic, glossy, sparkly spray paint or whichever spray paint you'd like to make these gems really stand out. I've used mettllics but I'm thinking an iridescent paint or glitter would be really cool too. I think the mettllics are really sophisticated and can be used for an adult occasion. Cardstock is pretty strong and I recommend using it when paper crafting, I've had pretty good experiences painting it as well. It supports paint well and doesn't warp as long as you don't saturate it too much! 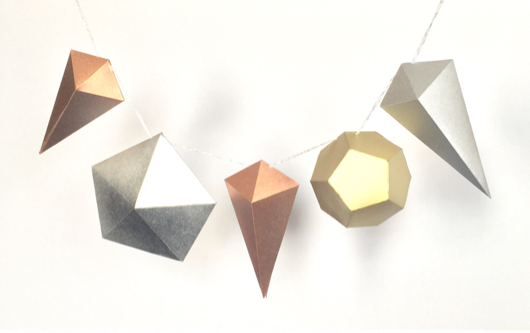 Be sure to check out my tutorial at Cut Out & Keep!